There is sales personnel, nurses, truck drivers, human resource personnel, etc. on the road everyday transacting business on behalf of the companies they represent. In many cases, although not all, employees may be reimbursed for costs that are accrued while traveling. These cost include their salary, which means these personnel are working even when on the road. Many employers do not know that they are liable for accidents or incidents that may occur while their employee is driving. Employers are vicariously liable for negligent acts or omissions by their employees in the course of employment, called vicarious liability. I can recall the case of a pizza delivery driver that caused a fatality during a pizza delivery. Guess who was responsible, the employer. BusinessDriverSafety.com offers employee driving training at competitive prices. BusinessDriverSafety.com provides content relative to the everyday driving experience along with a Certificate of Completion and employee tracking to assist your company with ensuring your employee reduces your liability by enacting safe driving tactics. Deaths and injuries resulting from motor vehicle crashes have a tremendous impact on our society. 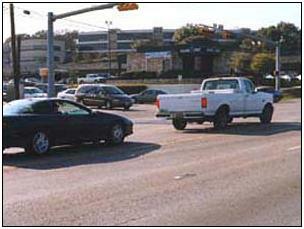 Traffic crashes result in numerous injuries and fatalities and cost us billions of dollars. The truth of the matter is that you never know when tragedy will strike. Employee driver safety training with DefensiveDriving.com is designed to provide you with the greatest flexibility and help possible. DefensiveDriving.com even offers 24/7 support so that your employees can take their course any time of day.